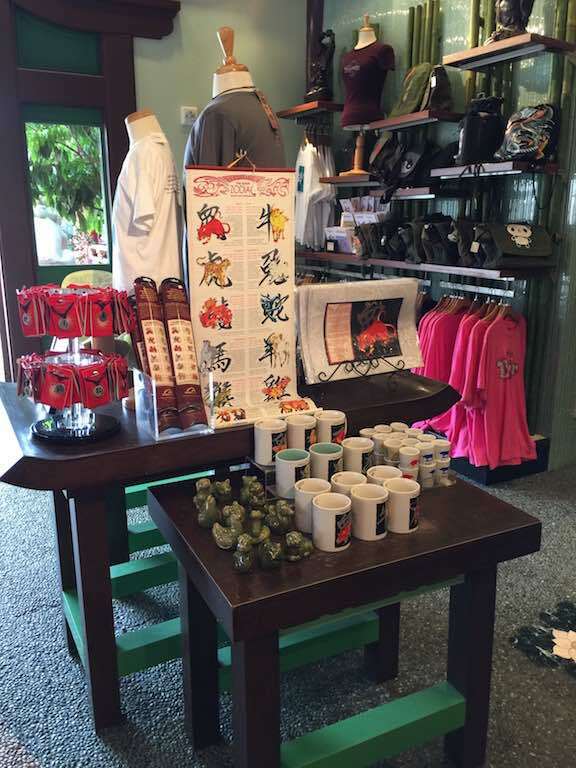 So like Mexico and Norway previously, the China Pavilion at Epcot also has extensive shopping opportunities. Note this will be a common theme as we move through the World Showcase. Its Disney, they will part you from your money (or do their best to do so). 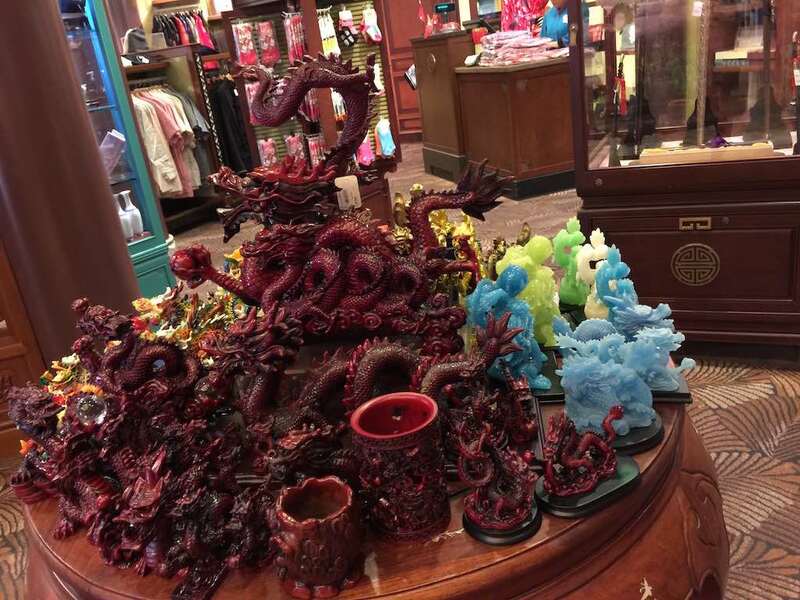 So what kinds of items can you buy here in the China Pavilion? 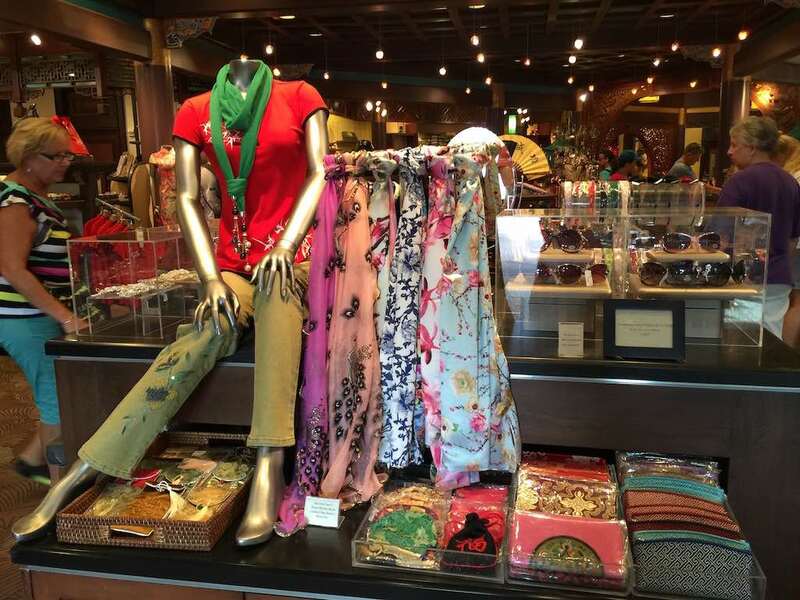 To start with, clothing – from t-shirts to brocade fabric type dresses, just like you would see in your nearest Chinatown. 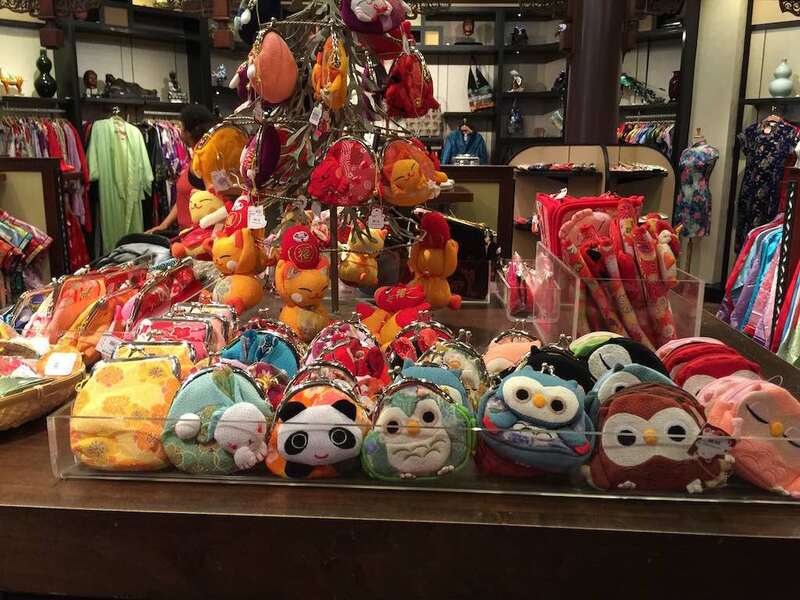 Cutesie items like these coin purses. 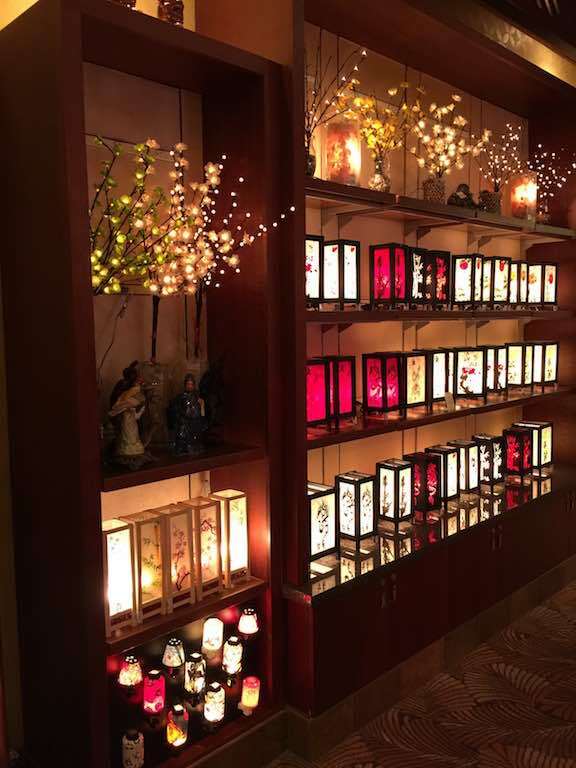 A display of lanterns and glowing floral arrangements…. 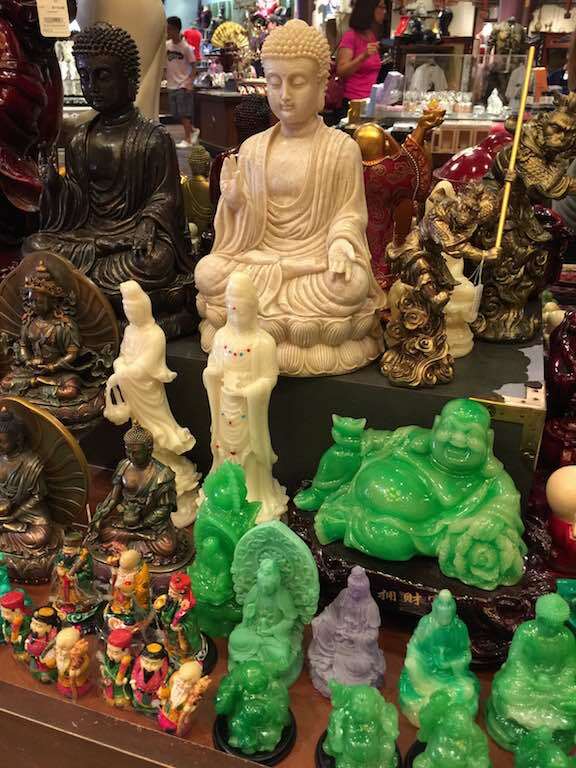 Dragons and Buddah statutes of all shapes, sizes and materials. 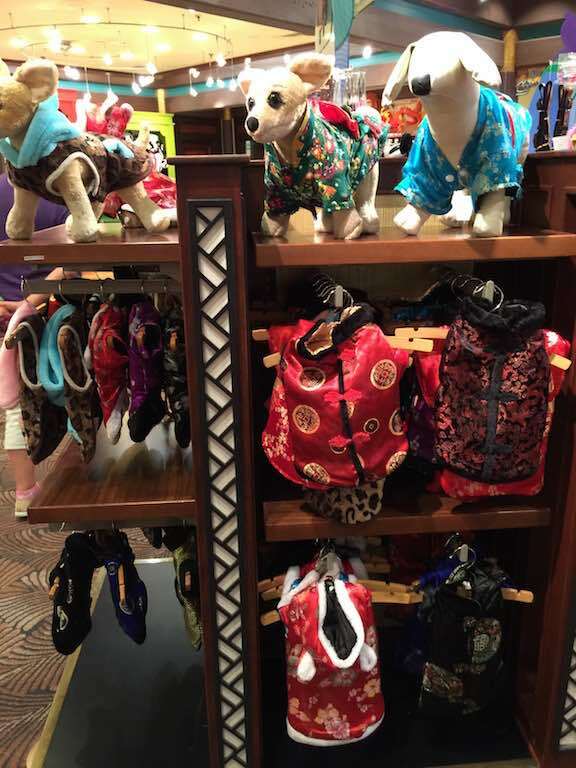 How about a Chinese themed outfit for your dog? 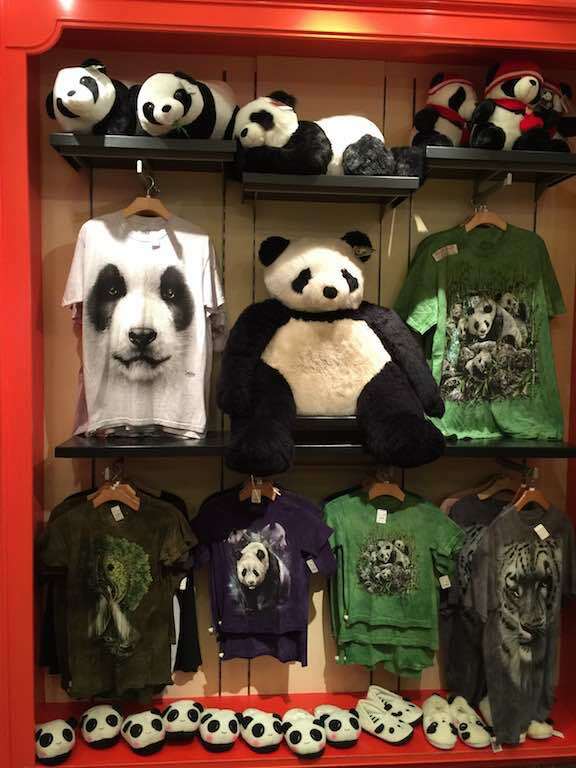 And what self-respecting Chinese themed location would be complete without Panda merchandise? 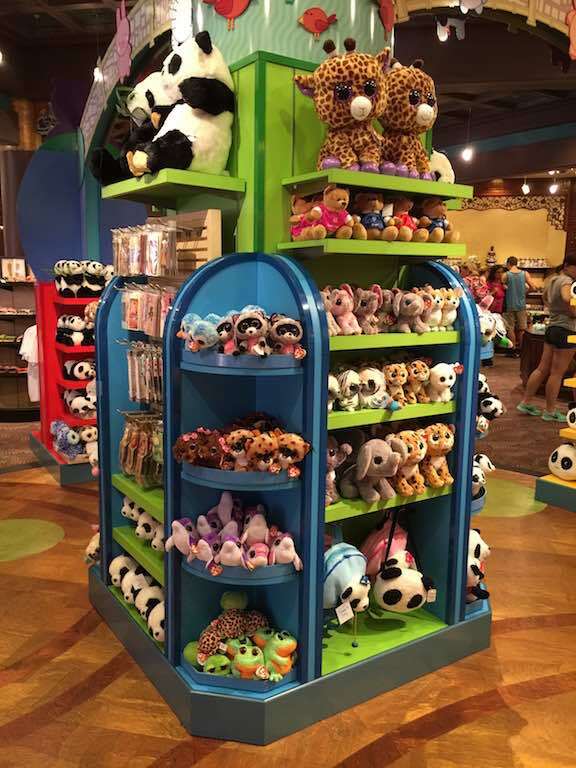 But I have to say I’m a bit lost on why these other stuffed animals are here? Perhaps large eyed leopards, elephants and strangely coloured purple dolphin type animals are native to China? 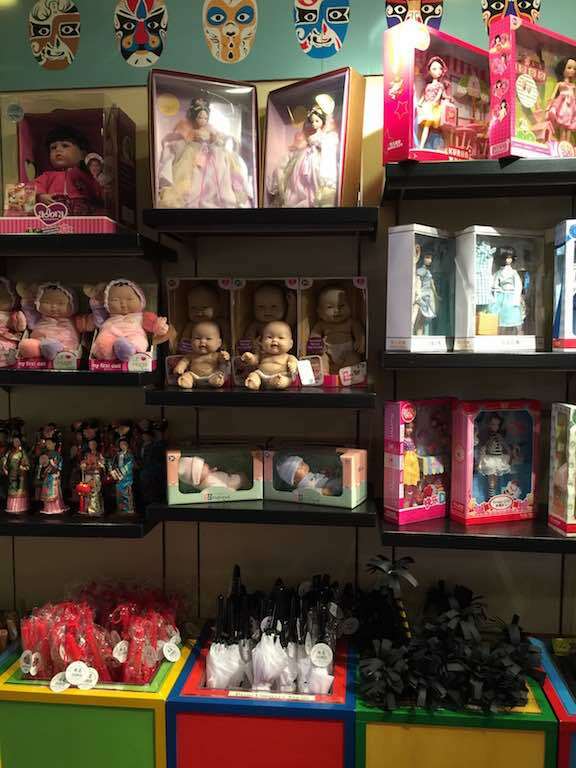 Or how about a creepy doll to take home to scare the neighbour’s children? (actually that sounds like a good idea and I wish I’d bought one now!). 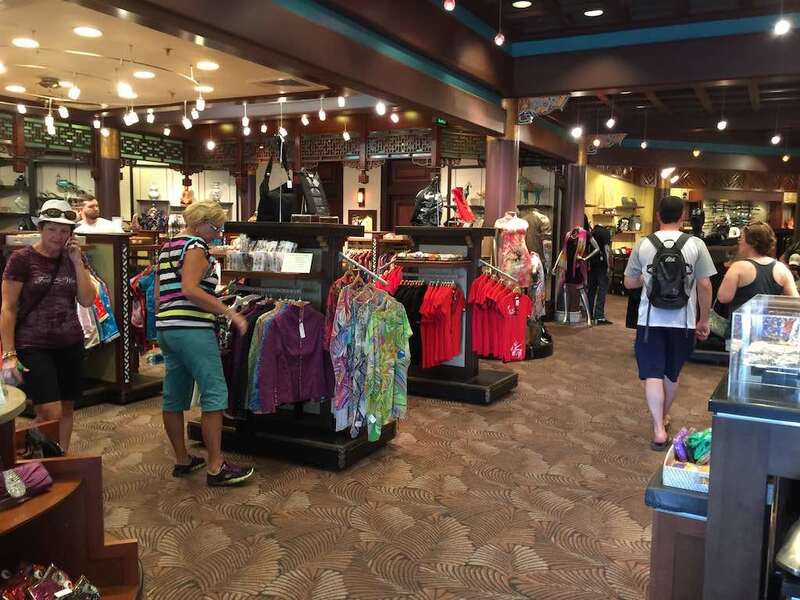 Outside the main shop is a marketplace type area with less expensive (but still Disney priced) items. 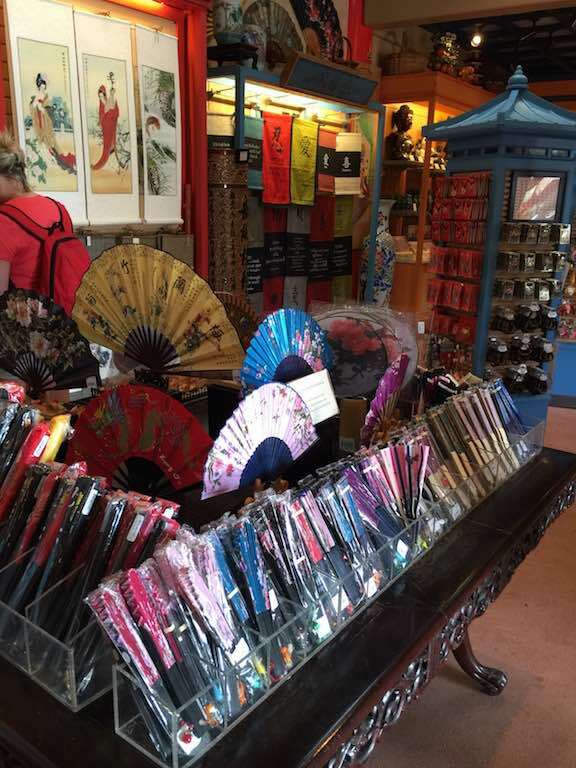 If you are a fan of fans, this is where you will find a nice selection of them for your own personal air-conditioning while in the hot Florida climate. Both larger decorative ones and smaller handheld fans. 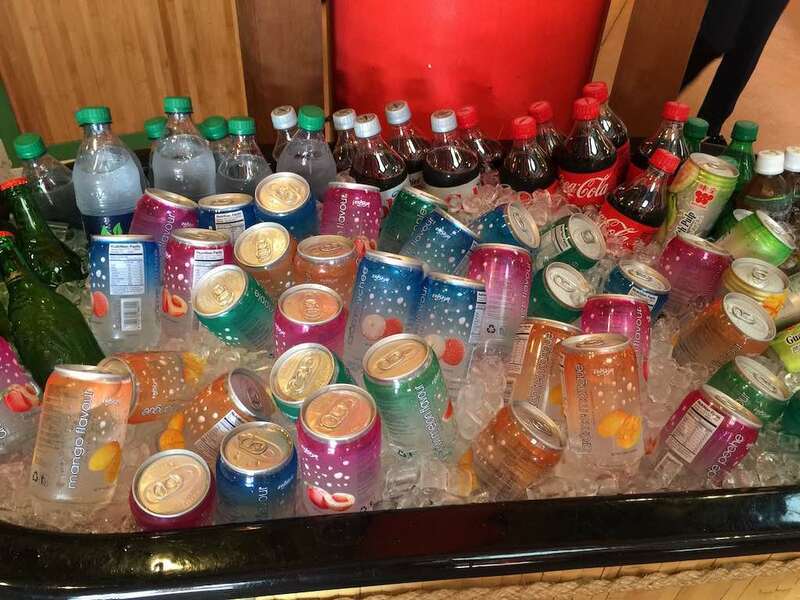 I love the lychee drinks – so yummy! 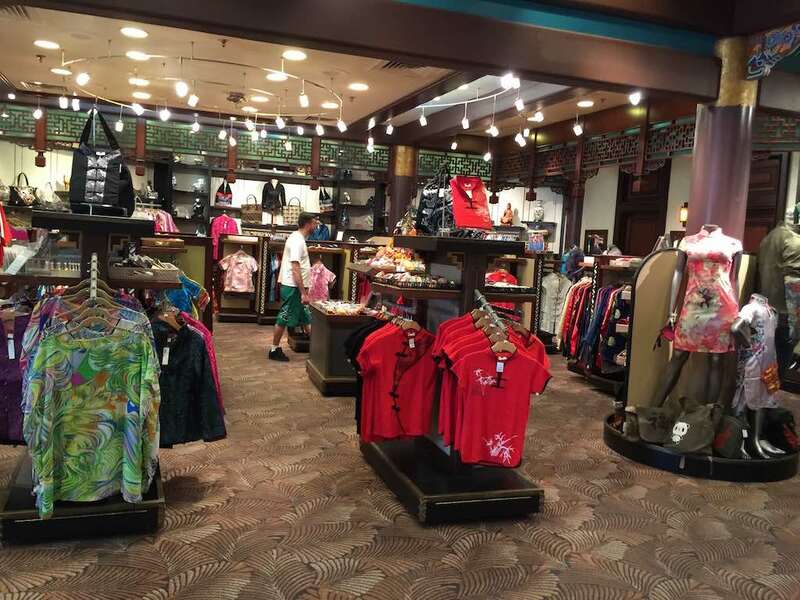 I think that is one of the issues with World Showcase, it is just a shopping mall! I loved the shot of the lanterns the most. Thanks! 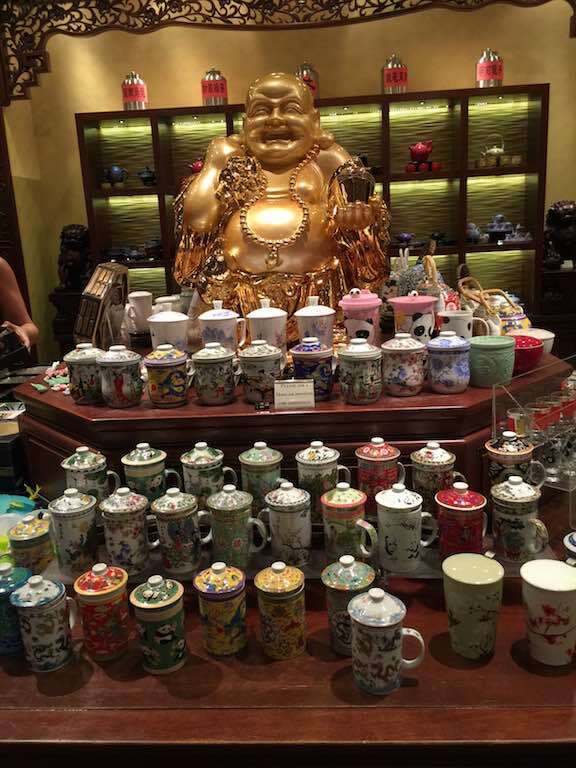 Love shopping for Chinese items..can’t tell you how nuts I went when I actually went to China! 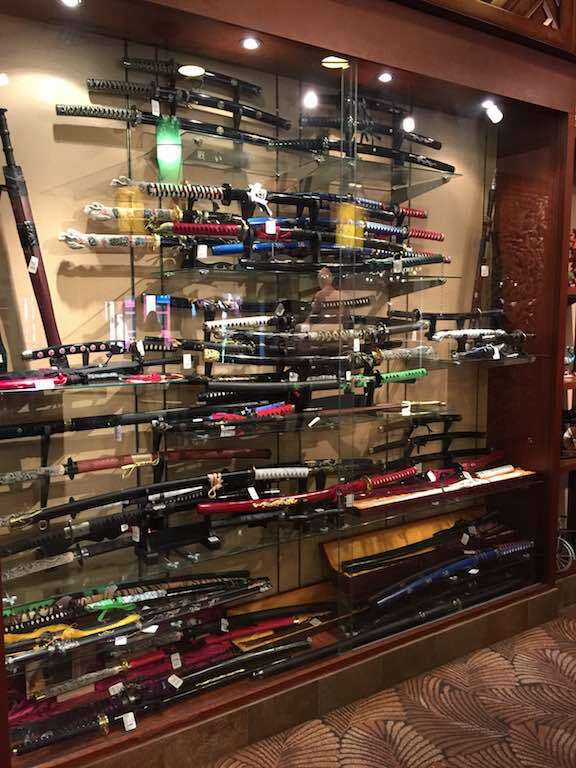 I love the Japan pavilion for shopping, but I’m more of a “just looking” rather than a buyer. 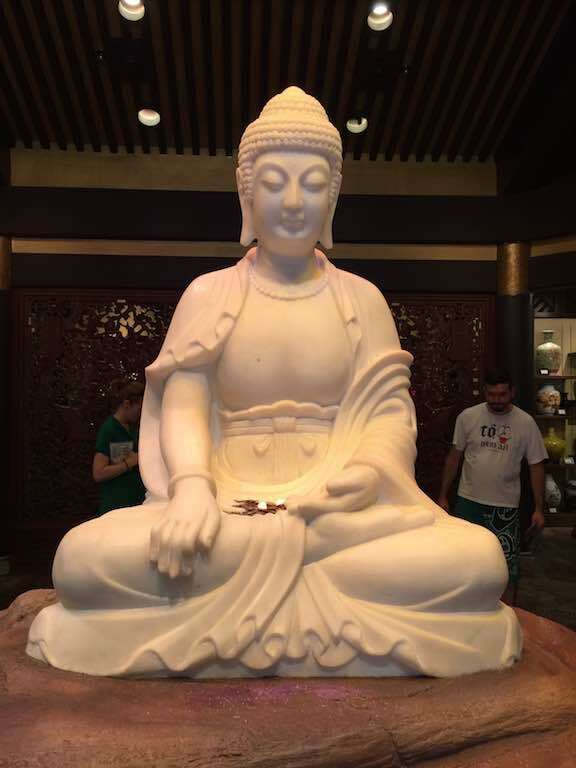 I’ve not made it to China (the country) yet except for Hong Kong but its on my bucket list!